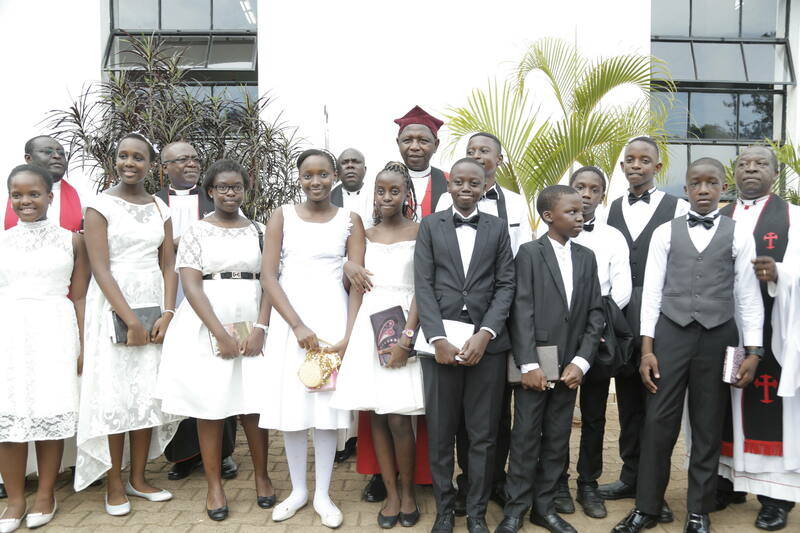 The Archbishop of the Church of Uganda and Bishop, Diocese of Kampala, His Grace Stanley Ntagali implored confirmation candidates to be the light of the world in everything they do. The Archbishop said that on Sunday 27 January 2019 while confirming 280 candidates into the Anglican faith held at All Saints’ Cathedral, Kampala. Citing Matthew 5: 16, “In the same way, let your light shine before others, that they may see your good deeds and glorify your Father in heaven; he encouraged Christians to be true to the one who called them and make their light shine to all. In addition, he told the congregation to avoid worldly pleasures since they may lead them into temptation thus becoming dim in shining for the world. Confirmation is a ritual or rite of passage to becoming a full Christian discipleship. It is a symbolic act allowing the baptized person to make a mature statement of faith and confirm the promises made on their behalf at baptism.